Ukraine this week continued its weeklong negotiations with the European Union over associate membership in, and the formation of a free trade agreement with, the bloc. The week of April 10, Kyiv will begin intergovernmental negotiations with Moscow over economic and energy issues, which will be capped off by Russian Prime Minister Vladimir Putin’s April 12 visit to Kyiv. Both rounds of talks show that the economic competition over Ukraine is heating up between Russia and the European Union. 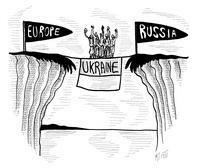 Ukraine is important to the Europeans, but it is crucial to Russia, for reasons transcending economic and trade ties. In the battle for influence over Ukraine, the Russians have an advantage, but Kyiv will continue entertaining both sides to extract as many concessions as it can. 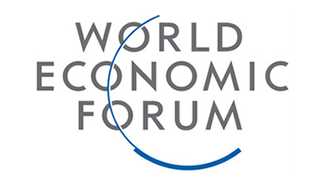 Ukraine is an important country in terms of economy and size. It has the second largest population (45 million people) and economy ($136 billion) of all former Soviet states, trailing only Russia in both categories. These factors, along with its relatively high per-capita gross domestic product, make Ukraine an attractive market — and asset — to outside powers. For Europe, Ukraine is most important for its location, particularly as a transit state for energy — roughly 25 percent of the European Union’s natural gas comes from Russia, and 80 percent of that gas transits Ukraine. Ukraine’s transit role is likewise important to Russia, but Russia also values Ukraine because of other economic industries, like steel and agriculture, that have served as vital inputs for Russia’s economy from the Soviet era to the present. But Russia’s interests in Ukraine go beyond the economic sphere. Ukraine is also important for military reasons; the Ukrainian city of Sevastopol is the headquarters for Russia’s Black Sea Fleet. Ukraine’s strategic location as a borderland between Russia and Europe and its proximity to Russia’s own breadbasket and economic heartland in the Volga region make the country key to Russia’s geopolitical strength and, ultimately, its survival. A strong Russia allied with Ukraine gives Moscow confidence and strength, particularly in dealing with Europe, while a Russia without Ukraine is weak to its core. The importance of Ukraine to Russia is not lost on the Europeans and the Americans, who have been trying to lure Ukraine into the Western camp since the fall of the Soviet Union. Ukraine did turn pro-Western under the Orangist government of Viktor Yushchenko from 2005-2010, but Russia’s resurgence reversed this trend when the pro-Russian Viktor Yanukovych became president in February 2010. However, Ukraine remains politically and socially divided between pro-Russian and pro-Western elements, and also remains an important tool of influence for both sides. This dynamic is on full display as Ukraine wraps up its latest round of talks with the Europeans just before talks with Russia. The main issue between Kyiv and Brussels is the establishment of a free trade agreement. The two parties have held discussions about such an agreement since 2008, and some Ukrainian officials have said the talks could conclude by the end of 2011. However, there are still many obstacles to a free trade agreement. Also, while the EU market is a larger and much richer potential trade zone than that which Ukraine is accustomed, many of Ukraine’s main exports — particularly in heavy industry such as steel and chemicals — would suffer as a result of the more competitive and higher quality EU goods. Ukraine’s goods are simply much more competitive (and necessary) in the Russian market than they are in the EU market. But perhaps the biggest obstacle to an EU-Ukraine free trade agreement is Russia. Putin has said that if Ukraine were to sign such an agreement with the bloc, Russia would be forced to enact higher duties for Russian goods imported by Ukraine. Because trade with members of the Commonwealth of Independent States (of which Russia is Ukraine’s dominant trade partner) accounts for more than 40 percent of Ukraine’s trade — as opposed to trade with EU states, which accounts for less than 30 percent — this would affect the Ukrainian economy considerably. Certain Ukrainian officials have acknowledged that such an outcome could slow Ukraine’s GDP growth. This sets the stage for Ukraine’s upcoming talks with Russia. While there are a number of items on the agenda, there are reports that Putin will attempt to persuade Ukraine to join the Customs Union with Russia and Kazakhstan rather than establish a free trade deal with the European Union. Despite its rhetoric, Russia is not as interested in Ukraine’s accession to the Customs Union as it is in deterring further Ukrainian integration into Europe. According to STRATFOR sources, Putin will, to this end, offer Ukraine a compensation package — a package that will include more than just financial incentives — and remind Ukraine of the consequences involved in going with the Europeans. It remains unclear what exactly Putin’s incentives will entail, but one key area that has served as a source of friction between Russia and the European Union is Ukraine’s natural gas sector. Contention over the sector has increased as Ukraine began looking to modernize its natural gas transit system — it is considering selling a stake in its indebted state energy firm Naftogaz. While Russia has proposed a merger between Gazprom and Naftogaz, Ukraine has resisted, knowing that it would essentially be a Russian takeover. Instead, Kyiv has advocated a natural gas consortium comprising Russia, Ukraine and the European Union. Ukraine continues to push for such an arrangement, with Ukrainian Prime Minister Mykola Azarov stating April 6 that the European Union should pay for half of Ukraine’s natural gas modernization efforts. However, Russia holds a dominant position in any such talks, as it is the natural gas provider and is able to halt supplies any time it sees fit — something Moscow has not hesitated to do in the past. Since Ukraine will always be caught between the two sides, Kyiv will continue its “multi-vector” diplomacy by playing the West and Russia against each other to gain as many concessions as it can. However, Russia is currently in a strong geopolitical position, while the Europeans are distracted and divided over the Libyan crisis and their own financial problems. Russia has the advantage, and this could enable Moscow to make headway on building economic and energy ties with Kyiv while trying to make sure to exclude the European Union.